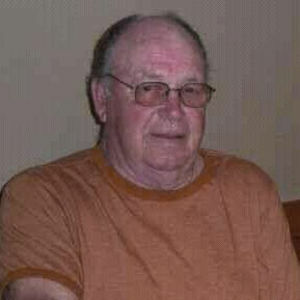 Phillip Hagen, 72, Breckenridge, MN was called home on Saturday, November 24, 2012 at St. Francis Healthcare Campus, Breckenridge. Funeral services will be on Thursday, November 29 at 10:30 AM at Breckenridge Lutheran Church, Breckenridge with Rev. Mark Manning officiating. Visitation will be on Wednesday from 5 PM to 7 PM with a prayer service at 7 pm at Willow Creek Chapel (920 3rd Ave N) Wahpeton, ND. There will also be visitation one hour prior to the service at the church. Arrangements are entrusted to Vertin-Munson Funeral Home, Wahpeton, ND. Phillip was born on November 16, 1940 in Ada, MN, the son of Axel and Pearl (Weibusch) Hagen. He attended school and graduated from West Fargo High School. After graduating, he attended Bemidji Technical School in Bemidji, MN where he earned a degree in Machining. On July 25, 1963, Phillip married Nancy Holey in Fergus Falls, MN. He worked for Lester's Construction, Wil-Rich, D&E Machining, and WCCO until he retired due to health issues in 1986. Phillip was an avid hunter and fisherman. He loved spending time with his family and making everyone around him laugh. He was a loving husband, dad, grandpa, and great-grandpa. Phillip is survived by his wife, Nancy Hagen, Breckenridge, MN; his children, Christine (Steve) Hoggarth, Wahpeton, ND, Steven (Donna) Hagen, Elbow Lake, MN, Julie (Jeff) Zettel, LeMars, IA, Heidi Hagen, Osakis, MN; his grandchildren, Nicole, Matthew, Nathan, Karlie, Zachary, Johnathan, Jacob, Scott, Alicia, Naomi, Millissa, Kimberly, Kirstin, and Cody; his great-grandchildren, Logan, Rylee, Sophia, Jeven, Brooke, Kayleb, Kyson, and Isaac; his sister, Alvida (Bob)Craft, San Diego, CA; his brothers, Emery Hagen, Sr., Breckenridge, MN, Milton (Jane) Olslund, Fertile, MN; along with numerous cousins, nieces, and nephews. He was preceded in death by his parents, Axel and Pearl Hagen, and his father-in-law and mother-in-law, Lars and Mary Holey. Dear Phillip Hagen This Is Great Niece Shelby Diiro I'am Just So So Sorry For Ur Guys Loss I Had Lots Of Memories Of My Great Uncle. Phillip Hagen He Was Loved And He Would Always Love Me And I Will Miss Just Know That My Heart Goes Out To U Guys. Dad I have so many wonderful memories to help me get through this, I will cherish each and every one. You are the best dad anyone could ever have. I will miss our talks, we shared alot over the last couple years. I will make sure that mom is taken care of and that she is ok. so don't worry, just enjoy being able to relax and catch the big one. LaLa....Love You! So Sorry for your loss. I will always remember Phil by his humor and ability to make me laugh when least expected. My grandpa was the best grandpa anyone could ask for! I always knew when he needed something by all his different noises. He would always make up songs that made no sense but i loved them anyways because its just one more thing that made grandpa as special as he was. I know he will always be up in heaven watching over me helping me get through life, hoping it will be half as great as his was! I Love You Grandpa! You will be always missed but never forgotten! Nancy,Christine,Steven,Julie and Heidi.So sorry for your loss Phil was a great man I'm so glad I had the chance to meet someone like him.He will be greatly missed. Tracie and family.